Well, we do quite a bit! Our projects have included everything from ground up website builds, site redesigns, branding and logo design, SEO and more. 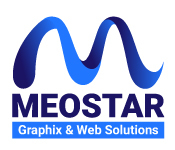 We cover a large scope of web and print design services. Web design include website development, responsive design, SEO, website security and expertise in WordPress and content management. Print design includes everything from small print designs like business cards, brochures and flyers to large vector designs for logo’s, billboards, posters and banners. For more details check out our Services. The question “How much is a website?” is answered once the details are in place and after I’ve created a detailed scope of the project. The big thing to remember here is that a professionally designed website is an investment, not a cost. Sounds like a cheesy tagline I know, but many of my clients’ websites are the life blood to their business and have come back to me after originally deciding to go a “cheaper” route. In general, our web projects will starts between $1,000 – $3,000+ depending on the scope of the project, functionality, site size, etc. We also provide all resources, training and custom consulting to make sure they know how to utilize their site and are getting their best return on investment. The logo design process starts with research. I find out about your business, your goals, your vision and then I look at your competition. Once I find the elements that will set you apart, then I hit the drawing board. Most items are sketched out to find the right design elements and shape arrangement, then the top designs are taken to digital format where they really come to life. You’ll receive jpegs of the first mock ups via email. 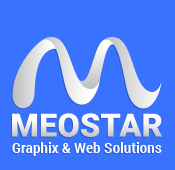 Once the design is approved, you’ll receive a full logo package with different file formats for web and print. I handle only the design, color management and file preparation. So, i do not Print or provide Printing services. For web design, pending clear communication and all information provided at the start of the project, I try to get the homepage and a few sub pages ready for review within 10-30 days. Once the design and layout is approved, then I move forward with the rest of the site. The majority of my website design projects last between 20-60 days. For print design, I let you know when I plan to jump on the project then the initial design mock ups are sent within 72 hours unless stated otherwise. You’ll receive jpeg images via email to view for any input, adjustments or corrections you may have. That process continues until the design is completed and ready for print. Most projects are handled with an investment of 50% up front and 50% upon completion. Payment must be made in full before items are sent to print or published to web. For projects on a larger scale, I offer payment options in a 30%, 30%, 40% time sensitive agreement. Upwork, Payoneer, Xoom, PayPal, Visa, MasterCard and Discover are accepted.